Gluten Free Chicken Piccata has a special place in my heart. When I was pregnant with my second daughter, my husband (who very rarely cooks, unless it is frozen gluten free chicken nuggets) was in the doghouse and wanted to do something nice for me to make up. I always get sick when I’m pregnant. The kind of all-day “morning” sickness that lasts for the first 20 weeks. I was feeling particularly yucky that day, and certainly wasn’t going to make dinner. My hubby found a recipe for chicken piccata online, by himself. He made a grocery list and purchased everything that he needed. Then he came home and made chicken piccata while I rested on the couch. The chicken piccata smelled so good! My husband’s plan worked. He was out of the dog house. Ever since then, gluten free chicken piccata has popped up on our dinner menu. 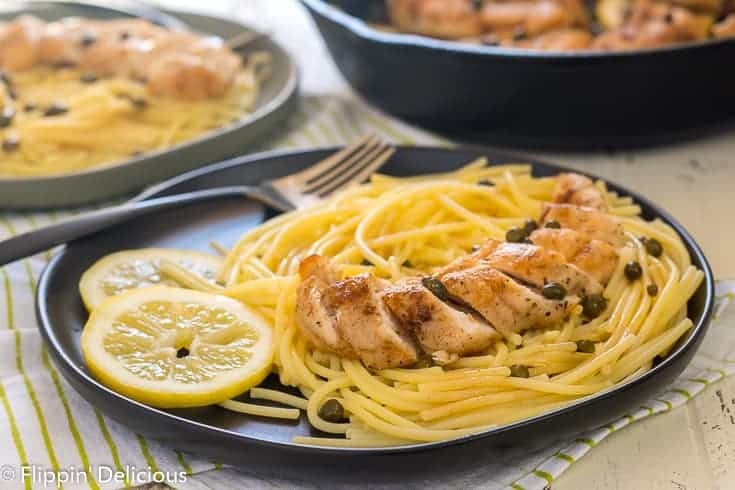 Chicken Piccata is simple dish. Simple in that it doesn’t have to many flavors or ingredients. Chicken, butter, olive oil, lemon, capers, and a bit of chicken stock. While being simple, it is still one of those dishes that almost always has flour in it. The secret to the crispy and golden chicken is a quick dip in some seasoned flour. 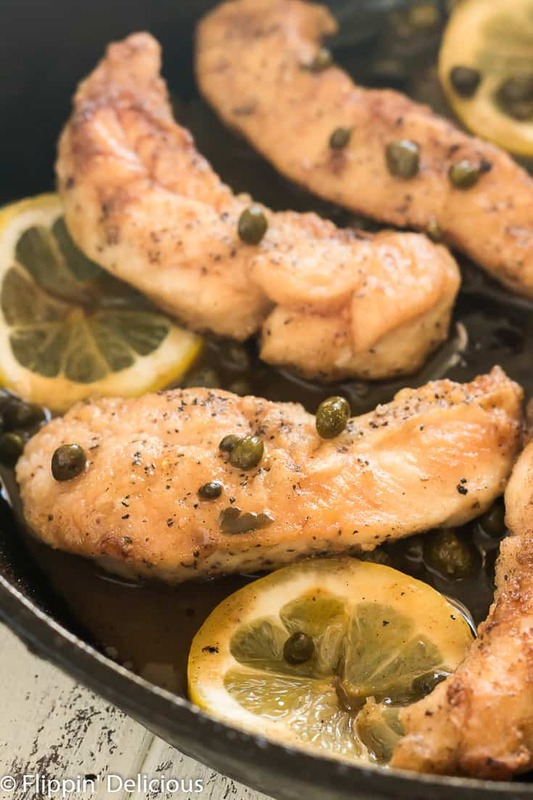 While restaurant chicken piccata is rarely gluten free, it is easy to adapt at home by using your favorite gluten-free flour. Dredging the chicken tenders is quick and easy. Not nearly as much work as breading chicken nuggets or the like. I don’t often bread chicken at home on a regular basis, it has to be a special recipe like my gluten free chicken parmesan. I inevitably make a huge mess, getting flour and breadcrumbs everywhere, so I try to avoid it on busy weeknights. 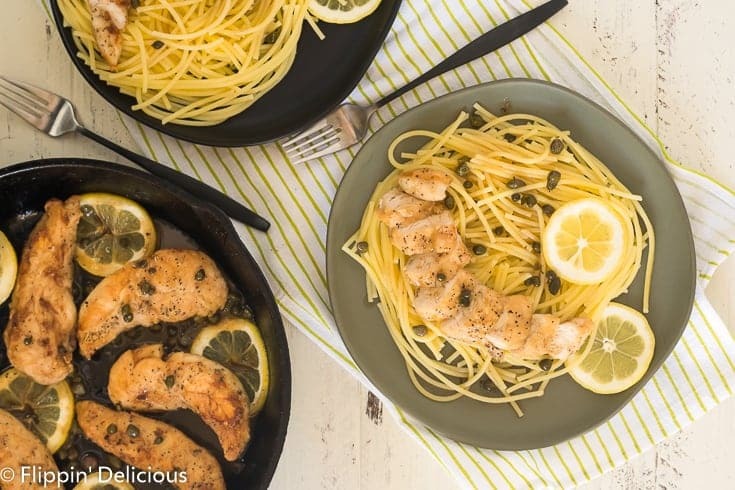 Since chicken piccata only needs a light dusting of seasoned gluten free flour, it doesn’t make a huge mess in my kitchen and is quick and easy enough for a weeknight meal. 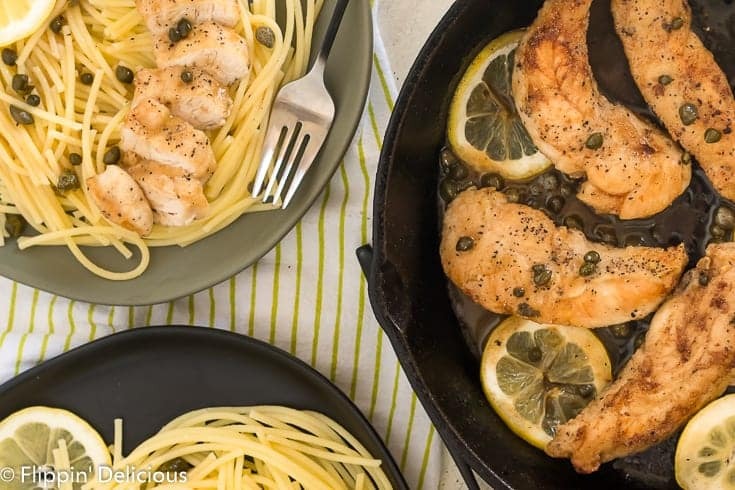 While this gluten free chicken piccata is easy enough for a weeknight meal, you can also dress it up for an elegant at-home date night. Just add a glass of wine and a yummy dessert. 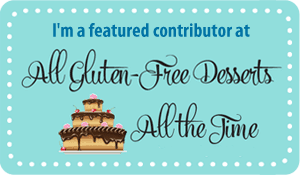 I’m always a chocolate fan, and my gluten free lava cake has just 6 ingredients and no flour, plus they can be made ahead of time and baked when you are ready to eat. 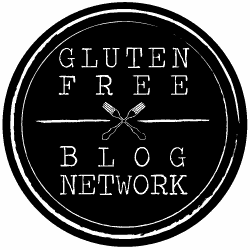 Or whip up some gluten free red velvet cupcakes, nothing says LOVE like red velvet. Date night: check! 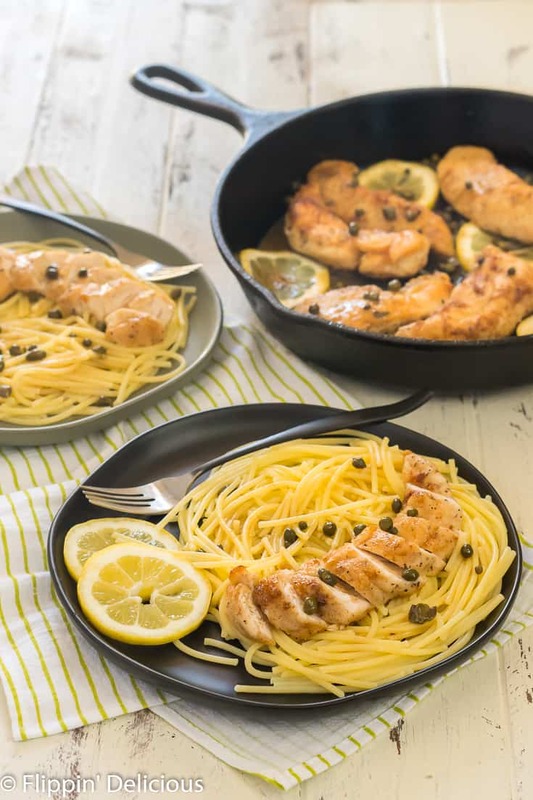 When making your chicken piccata, be sure to season your flour very generously with salt and pepper, and to season your chicken before dredging it. If you skimp on the salt and pepper you’ll regret it. Bland city! I used chicken tenders in my gluten free chicken piccata recipe because I don’t have to trim, butterfly, or pound chicken breasts. Chicken tenders are also the perfect size for my kids. If you prefer, you can use chicken cutlets, or a butterflied chicken breast. You want the chicken to be thin enough that it cooks evenly with just a few minutes on each side so that you don’t burn the flour. If I am in a super rush and don’t feel like I have enough time to flour chicken tenders, I make some gluten free pasta with white wine sauce instead. It has some of the same flavors of lemon and capers and is vegetarian so I can skip dredging and searing the chicken tenders. 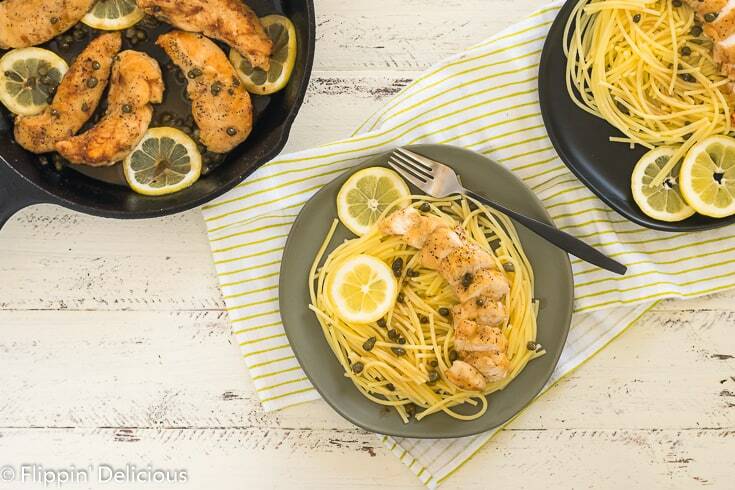 Here’s my gluten free dairy free chicken piccata recipe!